HAVE YOU BEEN INJURED IN A TRUCKING ACCIDENT? Accidents involving large trucks are often quite serious. 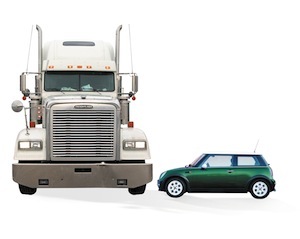 Commercial trucks weigh between 30,000 to 80,000 pounds, generally. They can travel from 1 mile an hour up to 90 miles per hour. While they generally do not travel at 90 mph, these trucks are quite capable of that speed, or even greater speeds. The measure of impact in motor vehicle cases is not merely the speed of the vehicle, but also its mass. The damage that a large commercial truck can cause moving at 20 miles per hour can be far more severe than the damage caused by a small Toyota or Honda moving at 50 miles per hour because the truck has significantly greater mass. Truck accidents involve standards set under Federal and State laws. Trucking companies have to follow Department of Transportation guidelines as to the weight of the vehicle, the maintenance of the vehicle, and the amount of time that the driver has been operating the vehicle. The situation where the driver is asleep over overly fatigued occurs daily in our country. 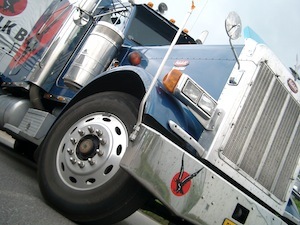 There have been cases here in Florida and elsewhere in which the investigation of the case involved not only deciding who was at fault in the accident, but also establishing that the trucking company filed false Department of Transportation paperwork, failed to provide their driver with adequate sleep or rest, overloaded the truck in order to make a little additional profit at the expense of everyone else on the road, and/or failed to maintain the vehicle properly. At Attorneys Jo Ann Hoffman & Associates, P.A., we not only investigate the driver and the accident, but we also investigate the trucking company in question. Remember, we take all of these cases on a contingency fee. That means that we NEVER charge you any fees or costs unless we recover monies from the defendants or their insurance companies. Consultations are always free. DON'T DELAY YOUR CASE! CALL US IMMEDIATELY! We look forward to helping you. 1-800-273-LAWS.